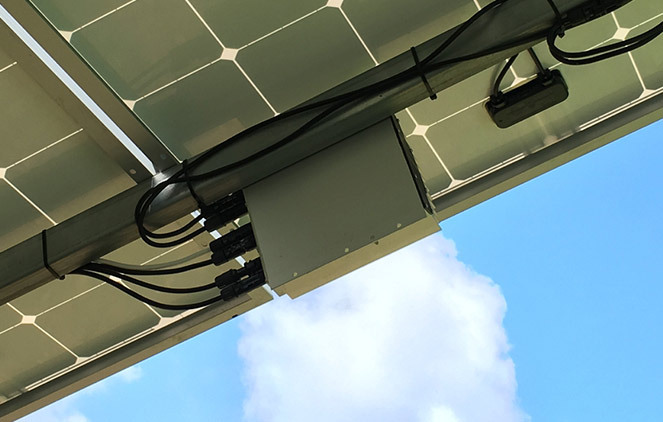 Ampt String Optimizers are DC/DC converters that are used to lower the cost and improve performance of new PV systems, upgrade existing systems to produce more energy, enable low-cost DC-coupled solar+storage systems, and provide string-level data for improved O&M. String Optimizer models are for system voltages ranging from 600 to 1500 VDC. Ampt String Optimizers have two inputs and one output back to the inverter. The String Optimizers are located between the PV source circuits and the combiner box on a PV system. The optimizer performs MPP tracking on each input and delivers full available power to the output at a voltage set by the inverter. This is done without requiring communication between the inverter and optimizers. Ampt products feature patented technology that enables PV systems to deliver more value than traditional system designs without Ampt. Ampt's patented String Stretch technology puts voltage and current limits on the output of each optimizer which allow PV designers to double the number of modules per string. The output current limit removes the need for system designers to build in current carrying capacity margin for "over sun" conditions when specifying cable thickness, fuse sizes, and other component ratings while still complying with safety codes. 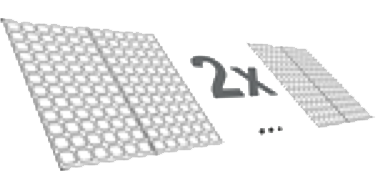 This means smaller conductor sizing per kilowatt delivered. With Ampt, system designers save up to 50% on electrical BOS costs. Ampt String Optimizers put two maximum power point trackers on each string. By distributing MPPT throughout the array, Ampt optimized systems mitigate or eliminate mismatch losses to deliver more energy under changing environmental and system conditions over the lifetime of the power plant. 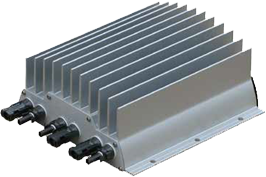 Inverters with Ampt Mode operate in a narrow input voltage range that is closer to the maximum system voltage. 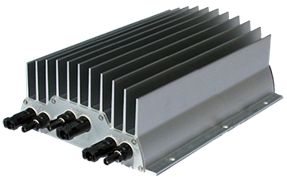 This allows the inverter to deliver a higher AC output voltage at the same current which raises the rated output power of the inverter. 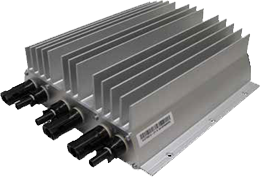 Delivering more power from a given inverter lowers the inverter's cost per watt. 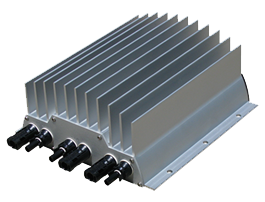 Inverters with Ampt Mode are available from our partners. Ampt String Optimizers incorporate optional wireless communication to provide string-level data that is highly accurate, synchronous, and scalable to improve O&M, as well as enhanced controls for storage applications. Ampt's compact design is lightweight and easy to mount. Learn more about the unique advantages that Ampt String Optimizers deliver for your PV project.